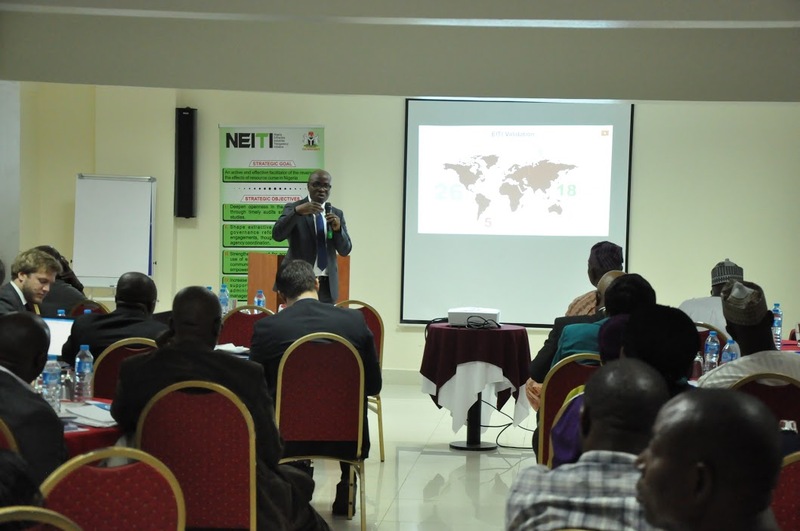 The Nigeria Extractive Industries Transparency Initiative (NEITI) on Thursday disclosed that the Federation Account Allocation Committee (FAAC) disbursed N1.938 trillion in the first quarter of 2018 to the Federal, States, Local Government Areas and other beneficiaries. The amount shared represented an increase of 37.3 per cent when compared with N1.411 trillion shared during the same period in 2017 and 71.1 per cent of the N1.132 trillion shared in the same quarter of 2016. A breakdown of the FAAC allocations shows that the Federal Government received N812.8 billion, the 36 states got N683.4 billion, while N393.3 billion went to the 774 Local Governments. A further breakdown shows that N655.2 billion was disbursed by FAAC in January, N635.6 billion in February, and N647.4 billion in March this year. Osun, Cross River, Ekiti, Zamfara and Ogun States received below N10 billion. The information is contained in the latest edition of the NEITI Quarterly Review. The publication observed that, even with increasing trends in the revenue disbursements to the three tiers of governments, the disbursement in the first quarter of 2018 is still 25.6% lower than the N2.6 trillion disbursed during the same period in 2013 before the crash in global oil prices. The report projected brighter prospects for higher revenue disbursements for the rest of the year because of the rising oil prices, which currently hovers around $70 per barrel, in addition to the increase in oil production. The report however called for caution while celebrating the amounts disbursed in the first quarter of 2018 because of the volatility of the international oil market. “The year started on a bright note as all tiers of government received higher revenues than corresponding quarters in the past two years. This was largely on the account of sustained increase in domestic oil production and global oil prices,” the NEITI report added. On allocations received by each State, the report reveals that Akwa Ibom got the highest amount of N50.44 billion, while Osun State received the lowest net share of N4.99 billion, a variance of 920% between the highest and the lowest. The NEITI report explained that these disparities in FAAC disbursements suggest differences in revenue capacities of different states and the implications for expenditure decisions in the affected states. The publication expressed concerns about the relationship between the projected revenues of states and their proposed budgets. “The budget of all states completely outstrips their projected total revenues,” the report stated. For instance, the publication observed that the gap between projected total revenues and budgets is small in some states like Kano, Enugu, Delta and Bayelsa. In these states, projected revenue is at least 60% of the budgets. However, in about 18 states, projected revenue is less than 40% of budgets. Examples are in the 2018 budgets of Adamawa, Akwa Ibom, Anambra, Bauchi, Benue, Borno, Cross River and Ebonyi states. Other states are Imo, Katsina, Kebbi, Kwara, Ogun, Osun, Oyo, Plateau, Sokoto and Zamfara. In particular, the NEITI report described the situation in Cross River State as chronic as its projected total revenue only constitutes 4% of the proposed budget. The NEITI Quarterly Review, designed to provide timely information and data, is a tool to support citizens’ engagement, advocacy, promote constructive debate, information sharing and enlightenment in tracking the utilization of the funds for purposes of development.